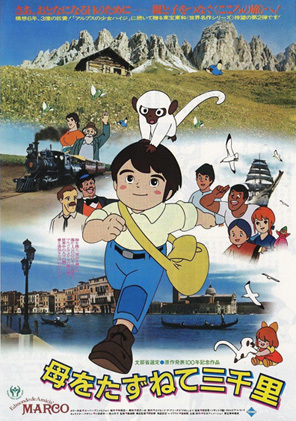 Marco goes on a journey to find his mother in Argentina. 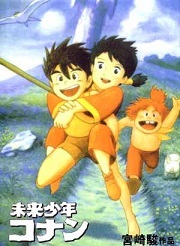 This is a desciption for Future Boy Conan. 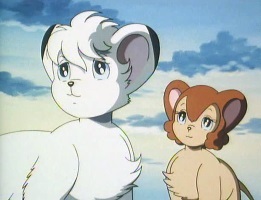 Jungle Emperor is a re-make of the original Kimba the White Lion series. At a glance, Kimagure Orange Road is your basic high-school romantic comedy. The romance and drama center around a love triangle. The main character, Kasuga has a few telekinetic powers which are often used for comedic effect. He is also quite indecisive. 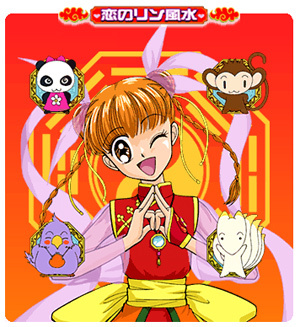 The other main characters are Madoka and Hikaru. 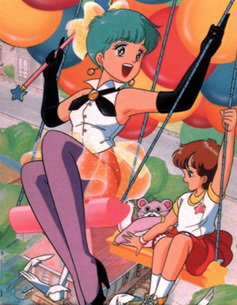 Most of the time, Madoka acts like a tough girl who can do anything and Hikaru demonstrates extreme cheerfulness. 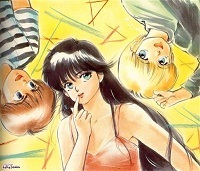 The stories generally follow Kasuga in his relationship with Madoka and Hikaru. 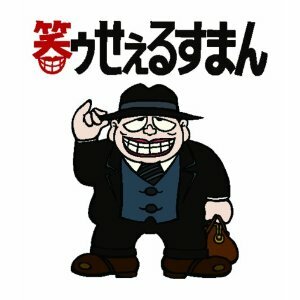 Moguro Fukuzou is the "Laughing Salesman". He is no ordinary salesman. He is in the soul business. This is a desciption for Emi. 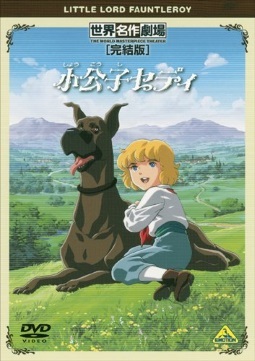 Based on the novel "Little Lord Fauntleroy" by Frances Hodgson Burnett. 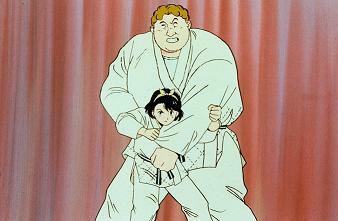 Based on the original story by Hans Christian Anderson. Kai and Gerda are very dear friends who have been together since they were young. However, one wintry day, the Snow Queen appears in a flurry of snow and wind and a sliver of her mirror gets lodged in Kai`s heart. saying that he is already dead, but, determined to find Kai, Gerda sets off on her own journey filled with trials and tribulations. 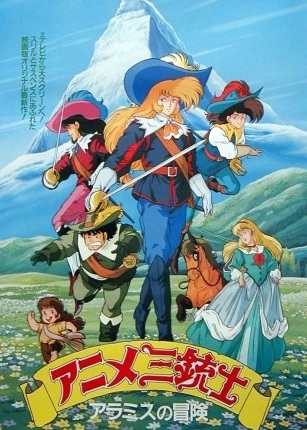 Based on the d’artagnan Romances written by Alexandre Dumas. is sent to the family as a private tutor for its seven mischievous children. She loves to sing. Through music, Maria develops friendships with the children and becomes a member of the family. 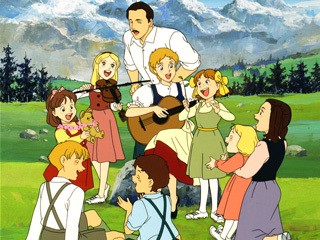 This show is based on the true story of the von Trapp family, the inspiration for "Sound of Music". A joint project with Frostii. The anime is an adaptation of the popular 2002 Korean live action romantic drama Winter Sonata (Gyeoul Yeonga). Original actors Bae Yong Jun and Choi Ji Woo reprise their roles from the live action drama in the anime adaptation. Winter Sonata features Korean dialogue with Japanese & English subtitles. A joint project with Frostii & Saizen. If you would like your own tracker for your channel, feel free to message Edward_K at #fansub-torrents@irc.rizon.net Now with IPv6 support!